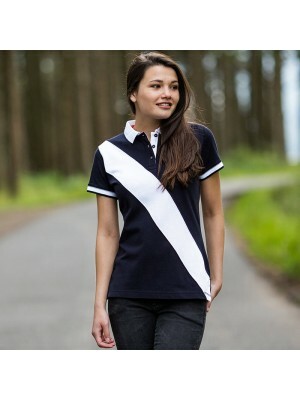 We at Plain-t-shirts.co.uk offer a wide choice in our women 100% soft cotton polo shirt collection which includes all the best brands like AWD, Gildan, AA, Stars & Stripes, Fruit of the loom, Bella and many more. Our cotton polo shirt in the ladies fit style collection our part of the women range which include many colours and sizes to choose from which we offer for next or following day delivery for all the ladies clothing. The ladies cotton polo range which we have on offer at Plain-t-shirts.co.uk are durable and well made and ideal for all kinds of printing or embroidery. They are great for work wear, casual or normal day use. We at Plain-t-shirts.co.uk offer a wide choice in plain Women's range which come in a range of colours for fast delivery all over UK/EU Cornell polo which we offer are ex stocked item from our London warehouse. This plain product is made from durable..
We at Plain-t-shirts.co.uk offer a wide choice in plain Women's range which come in a range of colours for fast delivery all over UK/EU deluxe polo which we offer are ex stocked item from our London warehouse. This plain product is made from durable ..
We at Plain-t-shirts.co.uk offer a wide choice in plain Women's range which come in a range of colours for fast delivery all over UK/EU polo which we offer are ex stocked item from our London warehouse. This plain product is made from durable quality..
We at Plain-t-shirts.co.uk offer a wide choice in plain Women's thick and thin range which come in a range of colours for fast delivery all over UK/EU polo shirt which we offer are ex stocked item from our London warehouse. This plain product is made..
We at Plain-t-shirts.co.uk offer a wide choice in plain Women's Coolplus® range which come in a range of colours for fast delivery all over UK/EU polo shirt which we offer are ex stocked item from our London warehouse. This plain product is made from..
We at Plain-t-shirts.co.uk offer a wide choice in plain Women's diagonal stripe piqué range which come in a range of colours for fast delivery all over UK/EU polo shirt - tag-free which we offer are ex stocked item from our London warehouse. This pla..
We at Plain-t-shirts.co.uk offer a wide choice in plain Women's quartered piqué range which come in a range of colours for fast delivery all over UK/EU polo shirt - tag-free which we offer are ex stocked item from our London warehouse. This plain pro..
We at Plain-t-shirts.co.uk offer a wide choice in plain Women's sports range which come in a range of colours for fast delivery all over UK/EU polo which we offer are ex stocked item from our London warehouse. This plain product is made from durable ..
We at Plain-t-shirts.co.uk offer a wide choice in plain Women's Yale range which come in a range of colours for fast delivery all over UK/EU polo which we offer are ex stocked item from our London warehouse. This plain product is made from durable qu..
A new ladies style of striped garments from Front Row & co manufacture brand. The Front row polo is a striped polo t shirt ideal for casual wear; it has a fabrication of 100% cotton with 200GSM makes it suitable..
We at Plain-t-shirts.co.uk offer a wide choice in plain Lady-fit 65/35 range which come in a range of colours for fast delivery all over UK/EU polo which we offer are ex stocked item from our London warehouse. This plain product is made from durable ..
We at Plain-t-shirts.co.uk offer a wide choice in plain Polo Shirt range which come in a range of colours for fast delivery all over UK/EU Kate Ladies Pique which we offer are ex stocked item from our London warehouse. This plain product is made from..
We at Plain-t-shirts.co.uk offer a wide choice in plain Polo Shirt range which come in a range of colours for fast delivery all over UK/EU Ladies Classic Pique which we offer are ex stocked item from our London warehouse. This plain product is made f..
We at Plain-t-shirts.co.uk offer a wide choice in plain Polo Shirt range which come in a range of colours for fast delivery all over UK/EU Ladies Pique which we offer are ex stocked item from our London warehouse. This plain product is made from dura..
We at Plain-t-shirts.co.uk offer a wide choice in plain Polo Shirt range which come in a range of colours for fast delivery all over UK/EU Ladies Stretch Pique which we offer are ex stocked item from our London warehouse. This plain product is made f..
We at Plain-t-shirts.co.uk offer a wide choice in plain Polo Shirt range which come in a range of colours for fast delivery all over UK/EU Ladies Ultimate Pique which we offer are ex stocked item from our London warehouse. This plain product is made ..
We at Plain-t-shirts.co.uk offer a wide choice in plain Polo Shirt range which come in a range of colours for fast delivery all over UK/EU Lady Fit Premium Pique which we offer are ex stocked item from our London warehouse. This plain product is made..
We at Plain-t-shirts.co.uk offer a wide choice in plain Polo Shirt range which come in a range of colours for fast delivery all over UK/EU Sophia Comfortec V Neck which we offer are ex stocked item from our London warehouse. This plain product is mad..
We at Plain-t-shirts.co.uk offer a wide choice in plain Shirt range which come in a range of colours for fast delivery all over UK/EU Jersey Polo which we offer are ex stocked item from our London warehouse. This plain product is made from durable qu..
We at Plain-t-shirts.co.uk offer a wide choice in plain VINTAGE LADIES COTTON PIQUE POLO range which come in a range of colours for fast delivery all over UK/EU SHIRT which we offer are ex stocked item from our London warehouse. This plain prod..
We at Plain-t-shirts.co.uk offer a wide choice in plain Women's Klassic slim fit range which come in a range of colours for fast delivery all over UK/EU polo Superwash® 60ºC which we offer are ex stocked item from our London warehouse. 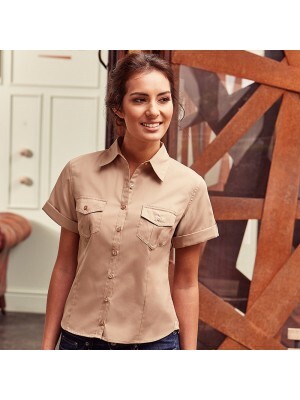 This plain pro..
We at Plain-t-shirts.co.uk offer a wide choice in plain Women's roll-sleeve range which come in a range of colours for fast delivery all over UK/EU short sleeve shirt which we offer are ex stocked item from our London warehouse. This plain product is..
We at Plain-t-shirts.co.uk offer a wide choice in plain Women's short sleeve ultimate range which come in a range of colours for fast delivery all over UK/EU non-iron shirt which we offer are ex stocked item from our London warehouse. This plain prod..